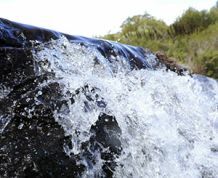 WaterNSW is pleased to announce the appointment of TCM Civil to undertake stage two of the Fish River Water Supply Replacement Pipeline project. Stage one of the project has been underway since January 2016 and has involved planning and design of the replacement pipeline. Stage two will begin in March 2017 and will see a 3 kilometre (km) section of the 54 km Fish River pipeline between Oberon and Wallerawang replaced with a new pipeline. WaterNSW Project Manager Janaka Weerarante said the pipeline replacement is part of WaterNSW’S ongoing strategy to ensure its assets remain efficient and reliable. “WaterNSW regularly carries out assessments and upgrades of pipelines and other assets to ensure efficiency and reliability,” he said.